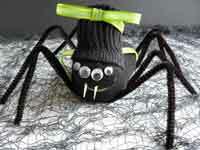 Make Your Own Halloween Party Bags with a Window... plus a Creepy Crawly Option! 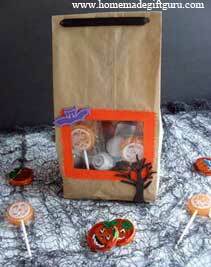 No need to go to the store... these Halloween party bags can be made from brown paper lunch bags! 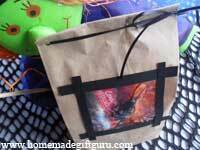 For these gift bags, you'll make a fun window in the front, where kids can see their goodies from the outside. 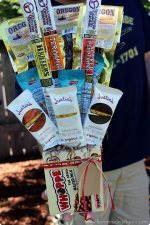 You can also make your gift bags more interesting by hiding something surprising in the window! 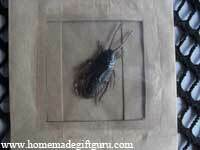 ...I suggest a realistic looking rubber cockroach (dollar stores often sell bags of these around Halloween) or some other realistic looking toy bug. 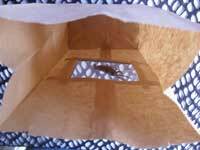 The last time I made these, I filled the bags up with popcorn and it made the bugs in the windows look extra yucky! 1. Cut Window. 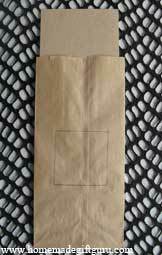 Cut whatever size window you'd like by placing a strip of paper board inside the bag and using a craft knife to cut a square or rectangle in just the front of the bag. 2. 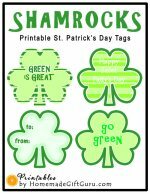 Cut and Apply Clear Film. Cut two pieces of clear film a little larger than your opening, about a 1/4 inch will do. Using a glue runner, apply glue around the outside edges of hole. Apply first piece of film. Note: If you aren't including a creepy crawly, you only need one piece of clear film and you can skip to step 4. Tip: I like using a glue runner here because it dries instantly but a glue stick can be used if needed. 3. Place Bug and Enclose. 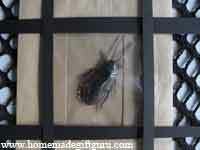 If desired, place a flat plastic or rubber critter on top of clear film. 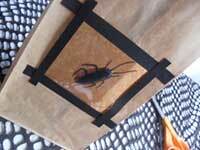 Apply glue again over edges and place the other piece of clear film over the bug, suspending the fake bug between. 4. Glue Down Frame. Run glue yet again around the outside of hole (over the edges of the clear film). 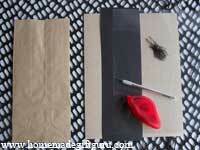 Take four skinny strips of card stock and position them like a frame. Trim as needed and press firmly. 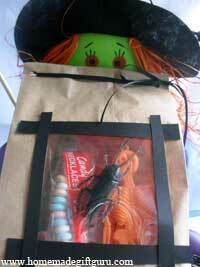 If you want... you can decorate your Halloween party bags with stickers, stamps, rub-on's, whatever you'd like! 5. 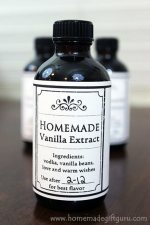 Fill and Close with Decorative Ribbon. 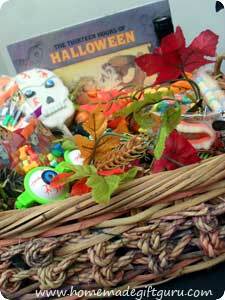 Fill bag(s) with candy, toys, snacks, a homemade gift or a little of each. Although you can just staple them shut, I prefer to use ribbon. 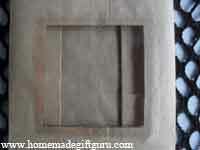 To do this, fold the top of the bag down about an inch. Punch a whole in the top right and left corners. Thread ribbon through from the front and tie in a bow or knot in the back. For a fancier gift bag, tie a bow in front. 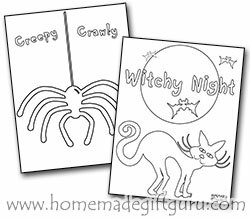 If you'd like, feel free to include a couple of Halloween Coloring Sheets along with whatever candy, toys and/or gifts you choose.